Last time I visited Los Angeles, me and a couple of friends went to VR Territory off of Northridge. I have to say, it was an experience of a lifetime. That was one of the most enjoyable 4 hours of my gaming life. Me and my friends played a couple of games there. First was a shooter. It was called Sky Front. The graphics are somewhat similar to a very popular title right now which is called Overwatch. The gameplay mimics Quake, but the only difference is that it mimics your movements. The second one we tried is an adventure title called Affected: The Manor. This one is very similar to an old classic called Resident Evil. When I played Affected: The Manor, the eerie environment that you see and the sounds you hear add to the jump scare element that it was made for. It scared the living crap out of one of my friends when one of the ghouls grabbed her leg. She ended up screaming in a very loud voice, which was funny to us spectators. What sets these titles up from the rest is that these titles actually make you feel that you are part of the game and the environment. Now imagine that being translated in a VR eSports setting. It would actually be very huge! 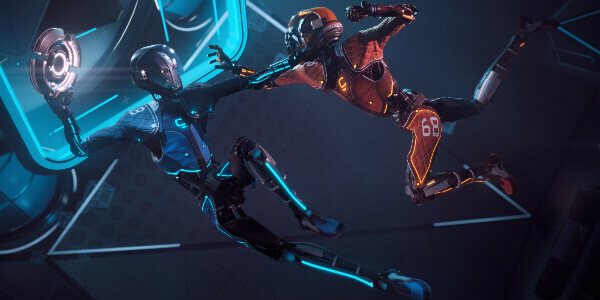 With electronic sports being a rising market right now, and with virtual reality kits such as the Oculus being available to the public, there will come a time that VR will become part of our eSports titles. It may not be today or the next year, but in the near future, it will be adapted and will be totally accepted in the eSports arena. Take for example the title we played called Sky Front. It has gameplay similar to an old game called Quake and has graphics similar to Overwatch. If Sky Front was a PC or a console game, it would surely be one of the games that will be played in the arenas. This is because the gameplay is smooth and of course, FPS dominates the eSports arena currently, aside from Dota 2. It is only due to it being a VR game that a lot of people have not heard of it yet. With that said, however, it is only shooters currently that would be viable for the eSports arena. VR technology currently has not incorporated MOBA such as LoL and Dota 2 yet, and it would be very hard to simulate the gameplay in a virtual reality setting. Real Time Strategy titles such as Starcraft and Starcraft 2 are also out of the question. There is no way that it will be converted into a VR standpoint. However, there are still a lot of possibilities in skill and sports games. Another good genre to be in a virtual reality setting are fighting games. Since fighting games tend to be one on one, it would be exciting to see how it would be played out in a VR setting on a very high level. MMORPGs with a PVP setting are also good premises for virtual reality. This is due to MMORPGs being mostly controlled by a single player. The PVP setting will be the staging point of it to become a title for major eSports contenders. Now the exciting part. Which of our current games will most likely be viable for esports? I’d like to say that most of the FPS games we currently have are very viable for it. Counter Strike and Overwatch will surely be very first on my list if I would choose games to become a VR title. A close second would be games such as Call of Duty and also Battlefield. 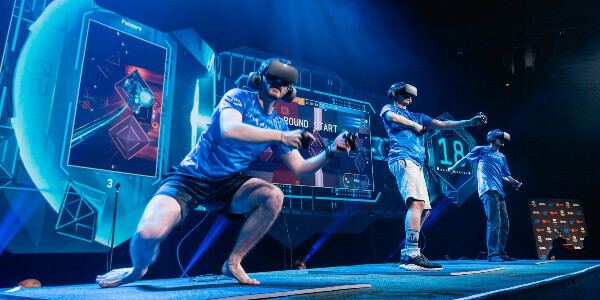 If somehow battle royale games such as Fortnite and PUBG make it big in the eSports scene, they would be a very good contender for virtual reality as well. In fact, these two titles are actually the perfect titles to be translated to virtual reality just because of the immense gameplay and the environment it offers. The players would actually feel that they are part of the environment. On a MOBA standpoint, I do not see Dota 2 being translated into VR soon. It is very hard to integrate Dota 2 into the game as it is mostly the major plays we see there are team fights and map-based ganks. Also, Dota 2 is viewed mostly in a spectator standpoint, even by the competitors. The only MOBA title that is currently viable is Smite. This is due to how you currently play it. You play Smite in a 3rd person view, somewhat similar to Fortnite. However, if Valve decides to put Dota 2 in a VR setting, they are actually halfway there. All they need to do is find a way to incorporate Oculus gaming in Dota 2. I mean, Steam already has a way to pair your Oculus device on it. Now if that happens, this will become a major catalyst and a major change in the eSports scene. For the fighting genre, the biggest titles that come up to my mind are Street Fighter and Tekken. It would be exciting to see how the players duck and evade while also attacking their opponent, without hitting each other in the real world. This would be similar to shadow boxing, which is fun to see. It would actually be fun to see people do this in the arena, throwing haymakers to punch or kick their opponent or on a Street Fighter sense, using their powers and throwing them to their opponents. Heck, I for one would like to see someone throw a Hadouken or do a Shoryuken on someone. Wouldn’t that be fun eh? And lastly, who can forget the MMORPGs? Titles such as Final Fantasy Online and Elder Scrolls Online will fit the theme as it is a mostly single player and it is more of a story-driven mode with a PVP setting. Another one that comes to mind, and which already has a competitive scene is World Of Warcraft. With the current release of the new expansion Battle for Azeroth, which pits both the Alliance and the Horde between each other, this would be the perfect setting for VR, as the whole premise of Battle for Azeroth is one big PVP. Well, it is more like Guild vs Guild but what the heck, it’s just a team vs team match, only in a bigger scale, unlike the WoW tournaments which are 3 vs 3. The bigger the battle, the more exciting it is! I think everyone could agree with that. With all these titles which are viable for virtual reality in eSports, one would think on how they would actually program the movements. In case of Counter Strike which has crab walk, bunny hops, shoulder peeks and boosting tactics, how would they animate or code those movements? Would the players really need to crouch and start walking? Would they wiggle their head and guns while strafing and jumping to do bunny hops? And for Call of Duty and Battlefield which has crawling, would the players actually get down on the floor and crawl? Now that would be the challenge for the developers to code and make it work. On Overwatch, Fortnite, and PUBG it is somewhat easier, as Sky Front is similar to Overwatch, even in a gameplay standpoint, and Fortnite and PUBG are just natural movements taken by most players, such as peeking behind a tree and strafing. Another challenge to its player base would be on the physical aspect. You would most likely need to be physically fit to do all the moves you need to do when playing, especially if you are playing a fighting game. With all the jumping and martial arts movements you are required to do, that will surely become tiring. What if the match lasts 5 rounds, you’d be done for the day! With all that said, it would still be a long time before VR comes to the major eSports arenas. While waiting for it to go live, all we can do for now is enjoy what we currently have. 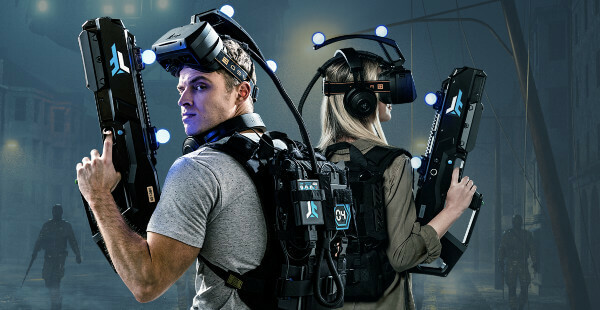 If any of you guys are close to a VR facility near you or is in Los Angeles, I would highly suggest and try going to one and actually experience it. This will change on how you actually play and view games. Go out and enjoy! 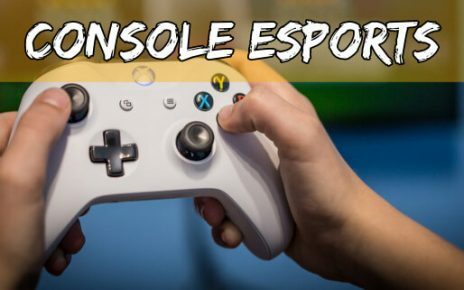 Esports on Console – What Competitive Games there are for Xbox and PS? 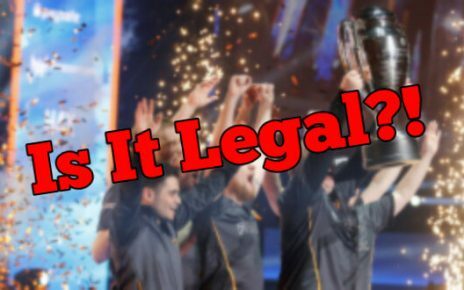 Is Esports Betting Legal in Your Country? Check out! 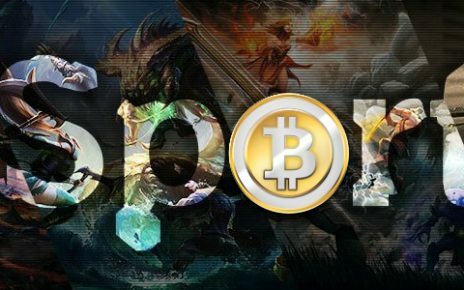 International 8 Betting (2018): How to make bets on TI8?